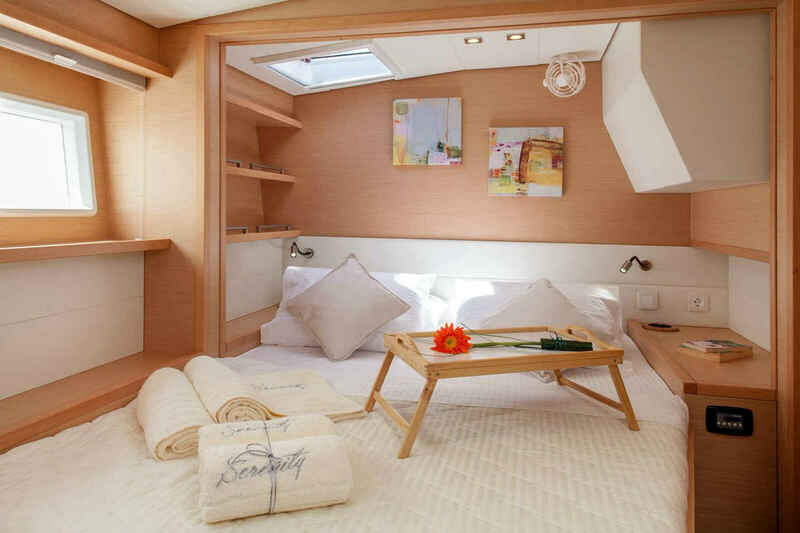 Sailing catamaran SERENITY was launched by Lagoon of France in 2015 and measures 15.84m (52’), she accommodates up to 10 charter guests, over 5 cabins. 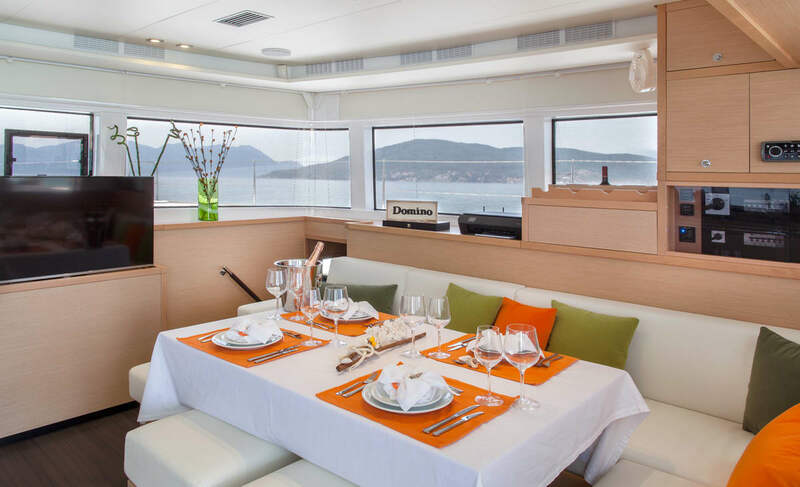 There is a professional crew of 3 to ensure a memorable and relaxed cruise. 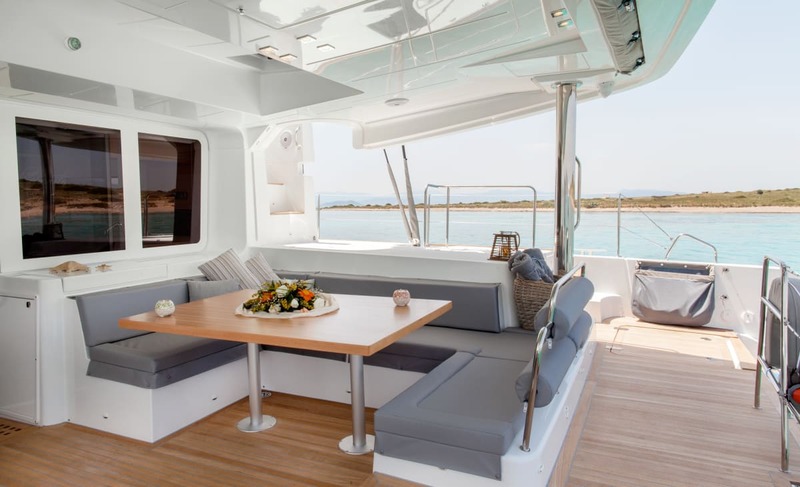 The yachts interior styling is light and airy, with the use of neutral woods and fabrics, creating a welcoming atmosphere. 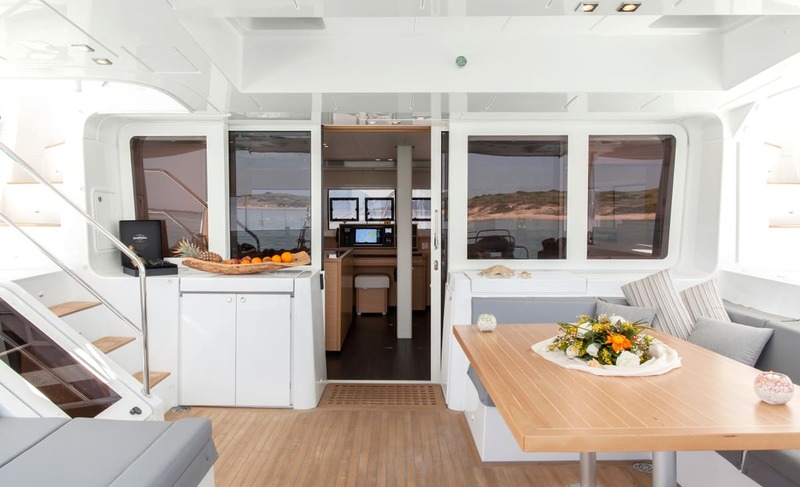 Her main salon is at deck level, with surrounding windows placed in a vertical position, allowing for ample natural light and idyllic views. 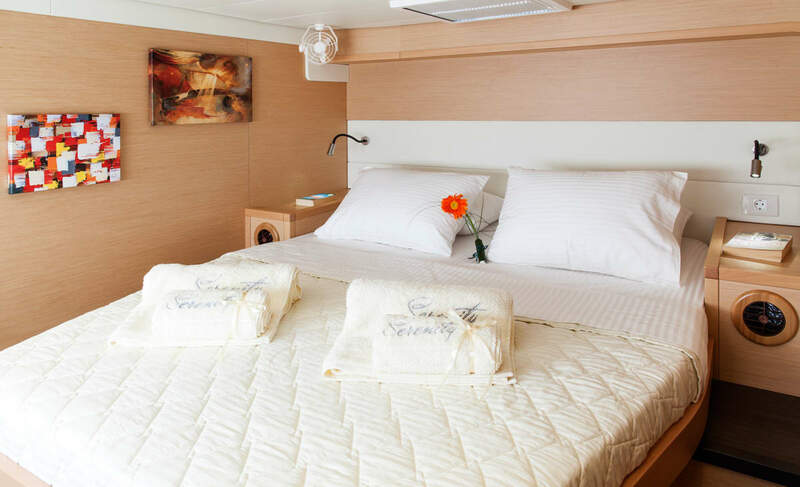 The salon lounge easily converts to a formal dining arrangement, and is situated on the starboard side, while to port is a well-equipped galley. On deck, there are plenty of areas to enjoy, whether entertaining or simply enjoying the sunshine. 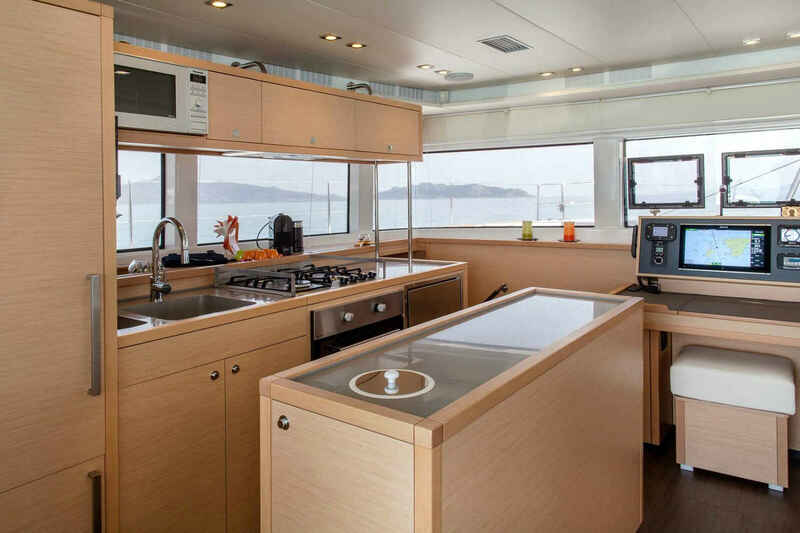 A shaded aft deck has alfresco dining, seating, a day bed and fridge compartment for refreshing beverages anytime. 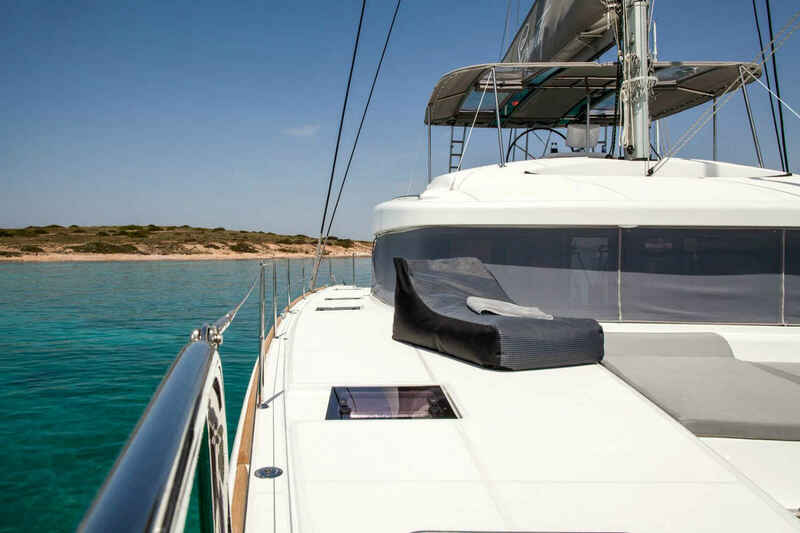 Further aft is a large deck space with access to the steps leading to the water toys on offer. 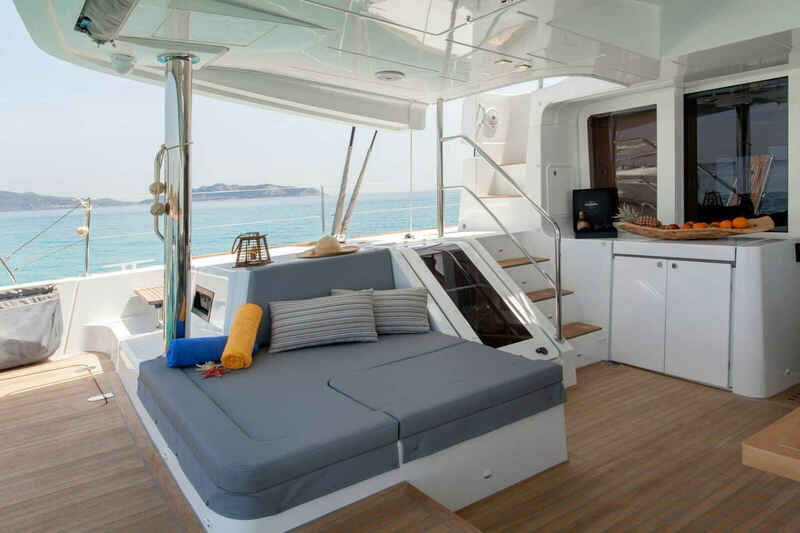 On the foredeck is cockpit designed for sunning as well as 2 large trampolines, which are perfect for unwinding with a great book. An upper deck is shaded and offers the main helm and seating. 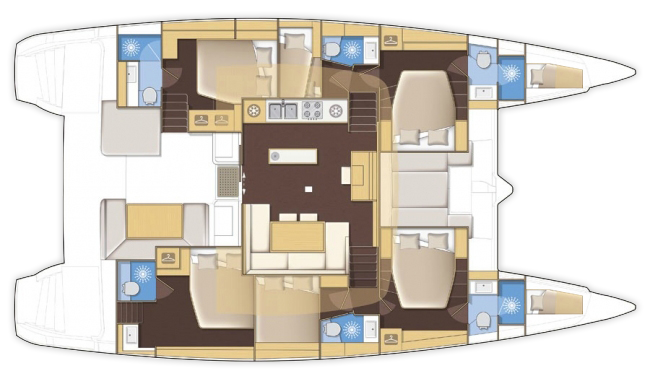 With all lines leading to the upper deck, the captain can sail the yacht with optimal ease, providing more uninterrupted guest areas. 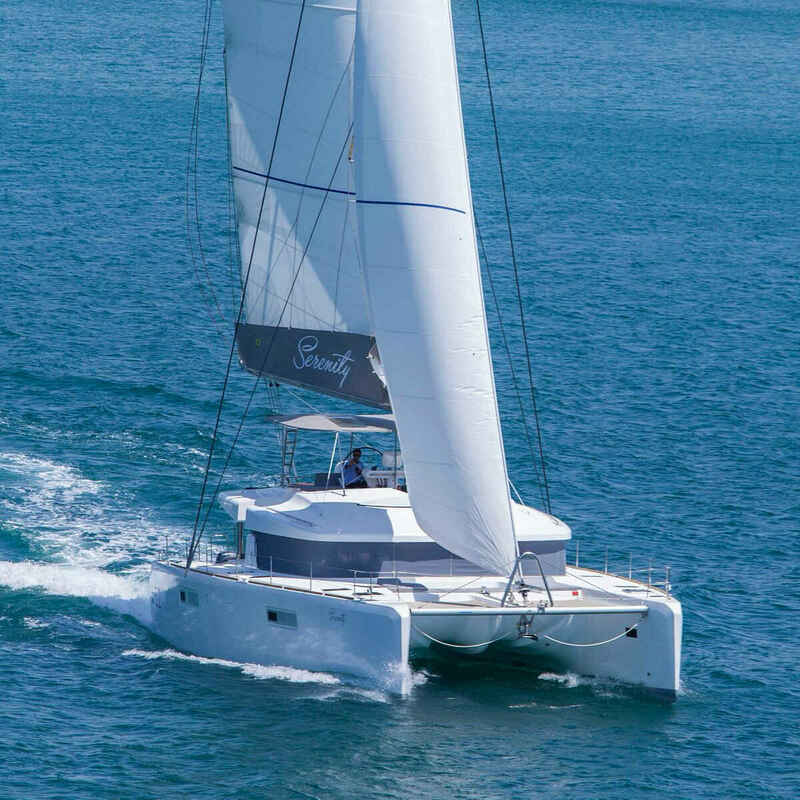 The Lagoon 52 model catamaran SERENITY is powered by twin 75hp Yanmar engines, which achieve speeds of 9 – 10 knots. 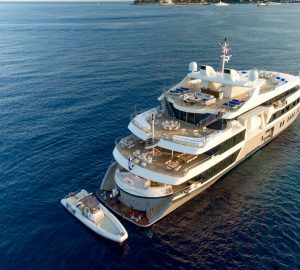 Accommodation comprises 5 double cabins, for up to 10 charter guests, all cabins are ensuite and boast full air-conditioning.